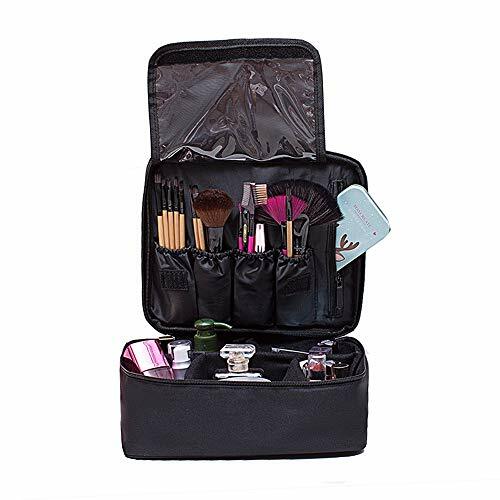 Travel Makeup Bag Toiletry Train Case Just $8.08 SHIPPED! Use coupon code 55VDSPWV to drop the price to $8.08! The Makeup Bags have enough room to holds all very securely and is organized well. No makeup broken at all in this. It's a great Makeup Bag for traveling with makeup and toiletries. The adjustable walls are very convenient and is made up of a durable and stiff fabric to help protect your makeup. Easy to rearrange compartments to fit your needs. The Makeup Bag's size enough to fit easily in your carry bag when traveling.